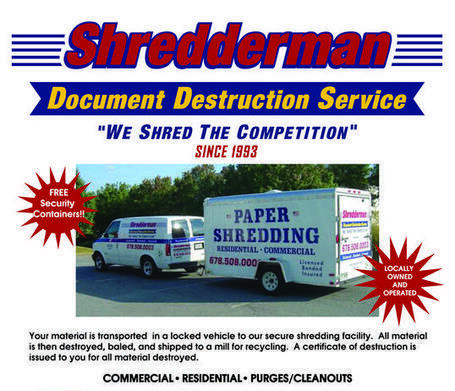 Shredderman is a locally owned and operated company that has the least expensive cost for paper shredding in the entire Atlanta Metro area, and we guarantee it. We don't charge extra fees like our competitors do for example; fuel charges, by the minute, by the pound, or more than one location pickup fee. We will make you a great deal, and we will beat all of our competitors rates. We will save you money and protect your company at the same time. We have plenty of references, and we will supply you with FREE locking security cabinets for all of your employees. 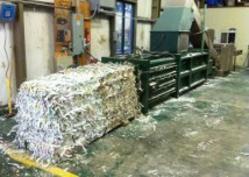 All of our shredded paper is baled and wired, then shipped to a mill which is then recycled into toilet paper. Shredderman can provide your office with the following, and your 1st pick up at No Charge!! 1- Free locking security cabinets. 2- 30, 60 or 90 day pickups. 3- No long term contract, just a month to month agreement. 4- Never a fuel charge, ever!! 5- In business since 1993. 6- Lowest cost on file box destruction. 7- We recycle 100% of our material. 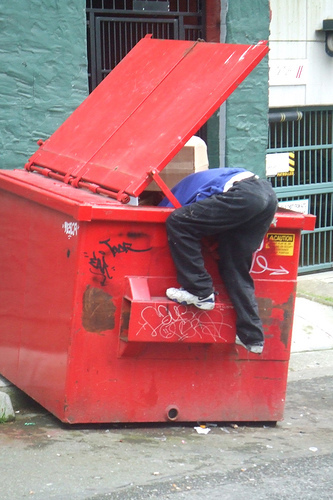 Don't let this happen to your business! Protect it today!! "Our Certificate of Destruction is your Security Blanket" Matthew Ray - V.P. 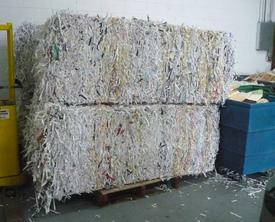 Your paper in the shredding process.